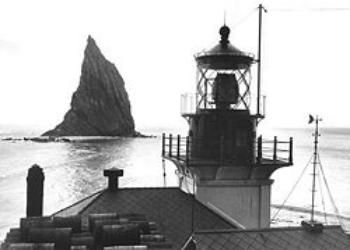 Cape St. Elias Lighthouse is on uninhabited Kayak Island, 62 miles southeast of the nearest town, Cordova, Alaska. The island is 20 miles long and generally only 2 miles wide, but rainforest vegetation is so dense that hikers cannot cross it. The solitary island extends into the Gulf of Alaska, separated from the mainland by a channel 4 miles wide. 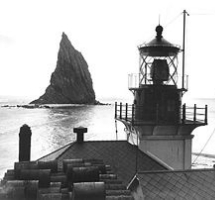 At its southernmost seaward side is situated the lighthouse, automated since 1974. 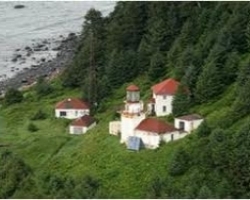 Organized in 1997, the Association is dedicated to restoring and preserving the complex of buildings at Cape Elias. It has a 30-year lease with the U.S. Coast Guard. An individual membership in the Association is $35 the first year and $10 annually thereafter. 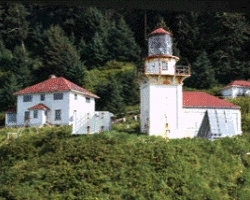 Through The Lighthouse School, groups or individuals can visit the island for educational tours or participate in experiential science classes such as Geology of Southeast Prince William Sound and Kayak Island.